Submitted photo The Three Rivers Band will perform at the picnic fundraiser. XENIA — Eat a meal, talk with friends, enjoy an evening of music and help raise money for scholarships for youth planning a career in agriculture on July 14. These activities are all part of the annual picnic scholarship fundraiser sponsored by Greene County Farm Forum. The picnic fundraiser will be 6 p.m. Saturday, July 14 at the Greene County Fairgrounds Dining Hall. The evening includes a meal catered by Rooters Concessions & Catering, entertainment by the Three Rivers Band, a silent auction and many door prizes. Greene County Farm Forum has raised more than $20,000 over the past 10 years which has been awarded to 36 recipients studying programs in agriculture. Tickets are $20 for adults (11 and older) and $4.50 for children age 10 and under. For tickets contact Jim and Ann Byrd at 937-429-1805 or byrdhouse9@yahoo.com, Paul Ayres at 937-352-6379 or payres1@woh.rr.com or Jerry Mahan at 937-372-5711 or mahan.2@att.net. Consider helping fund this scholarship, to make a cash donation or contribute an item for the silent auction or door prizes contact those listed above. All donations are tax deductible and are handled through the Greene County Community Improvement Corporation. Make checks payable to Greene Giving. 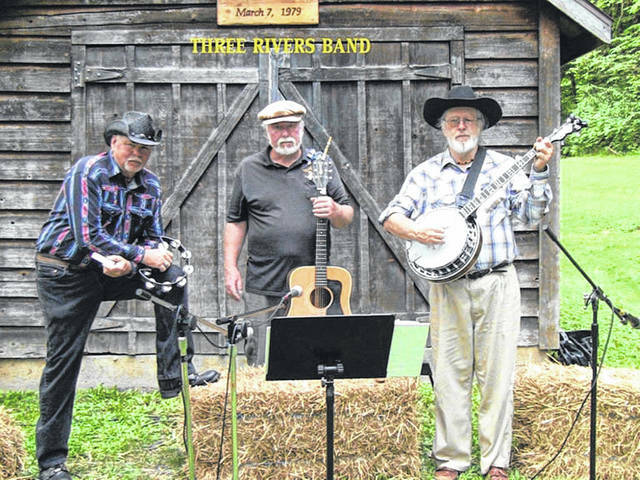 https://www.fairborndailyherald.com/wp-content/uploads/sites/50/2018/07/web1_Three-Rivers-BandNEW.jpgSubmitted photo The Three Rivers Band will perform at the picnic fundraiser.